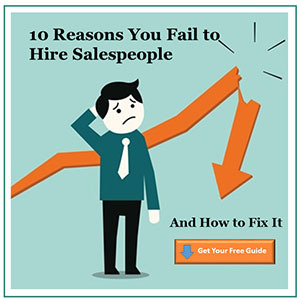 If you are looking to grow revenue and build a company then you must become an expert in recruiting talented sales professionals, here are 12 rules to follow when you are hiring salespeople. The holiday ads are running and before you know it, the New Year will be here. The holidays bring excitement and also distractions. If you don’t already have a Q4 plan in place to make your hires during the holidays, you are behind. Don’t let your hiring push out until 2018. 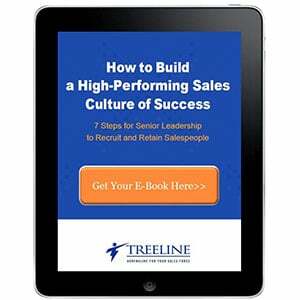 Growing companies need to drive revenue, and in order to drive revenue they need effective salespeople. When it comes to mapping out a growth plan, company leaders run into questions, including: How do I recruit and hire the right salespeople? 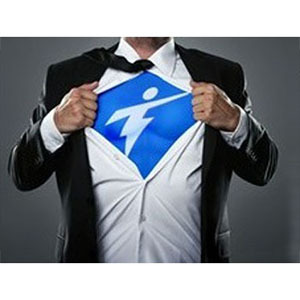 How do I support sales hires, in order to help them succeed? 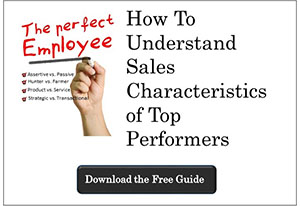 How do I evaluate where my team is right now, to improve an exisiting sales department? 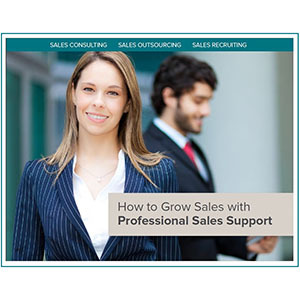 For most organizations, answers to these questions can be bucketed into three categories: sales consulting, sales outsourcing, and sales recruiting. 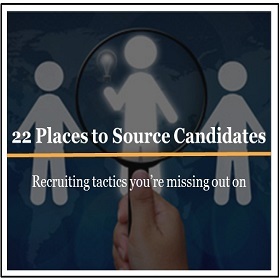 Whether you’re just starting to build out your recruitment process or want to improve your skill set, this recruiting trends report will serve as your essential guide to recruiting and hiring top talent in a competitive and candidate-driven market. 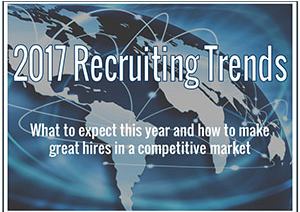 This comprehensive guide will cover 2017 recruitment trends and help you improve and optimize your recruiting strategies. Don’t fall for the stigma and stereotype that all millennial’s are lazy and entitled. 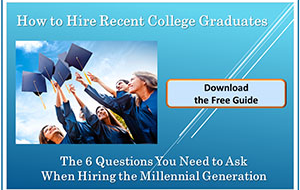 Instead learn how to recruit and hire this talented generation. Each new class of recent college grads are eager to make an impact on your organization and the world. Answer 6 questions: Who, What, When, Where, Why, and How.